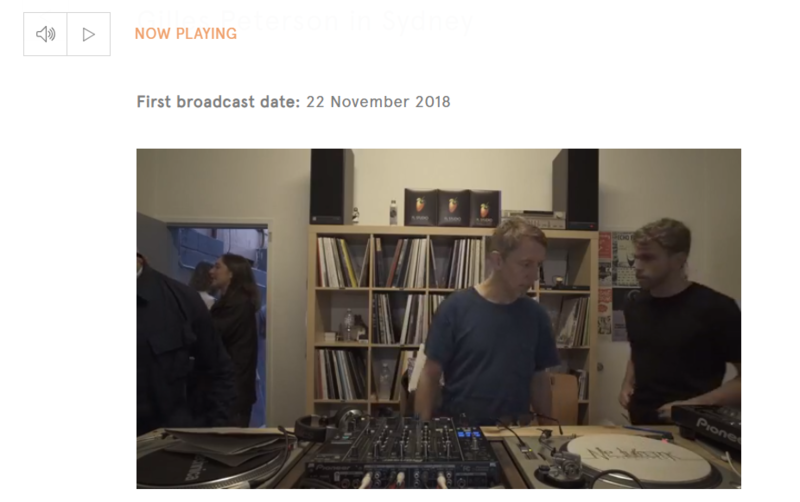 Podcast: Gilles Peterson live in Sydney at Network Records | Worldwide FM | SOUL OF SYDNEY FEEL-GOOD FUNK SOUL DISCO vibes & beyond. ← Gig Announcement : Soul of Sydney 7th Birthday feat. AFRO MOSES (live) | Sun Nov 18 2018.